I have this big bag of cotton scraps that I have been trying to use up. I decided to crochet some star dishcloths and attempt to reduce my stash of bits of cotton at the same time. Here is a closeup of the purple star dishcloth. 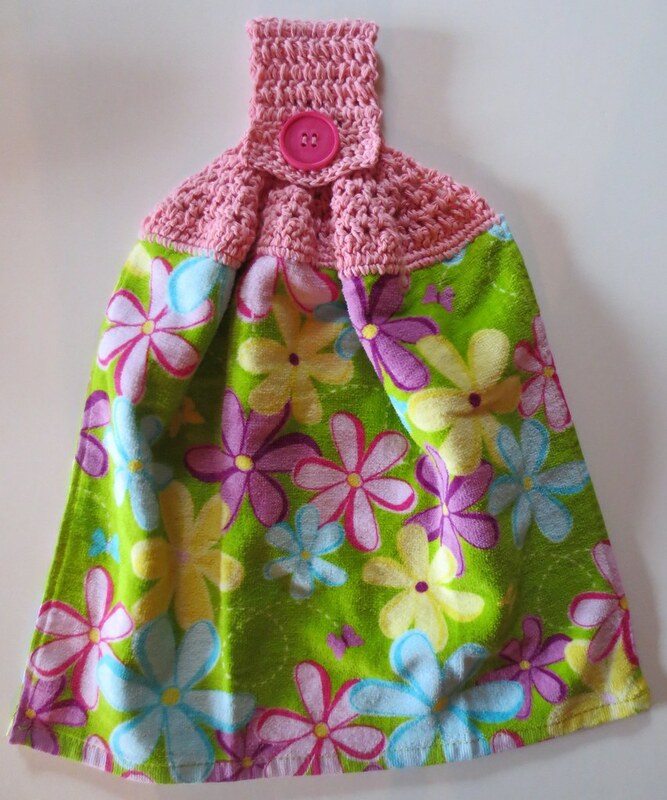 I found this pretty Easter flowered towel at Shopko and turned it into a crocheted Easter gift. I folded it in half and crocheted a pink towel topper onto the kitchen towel. 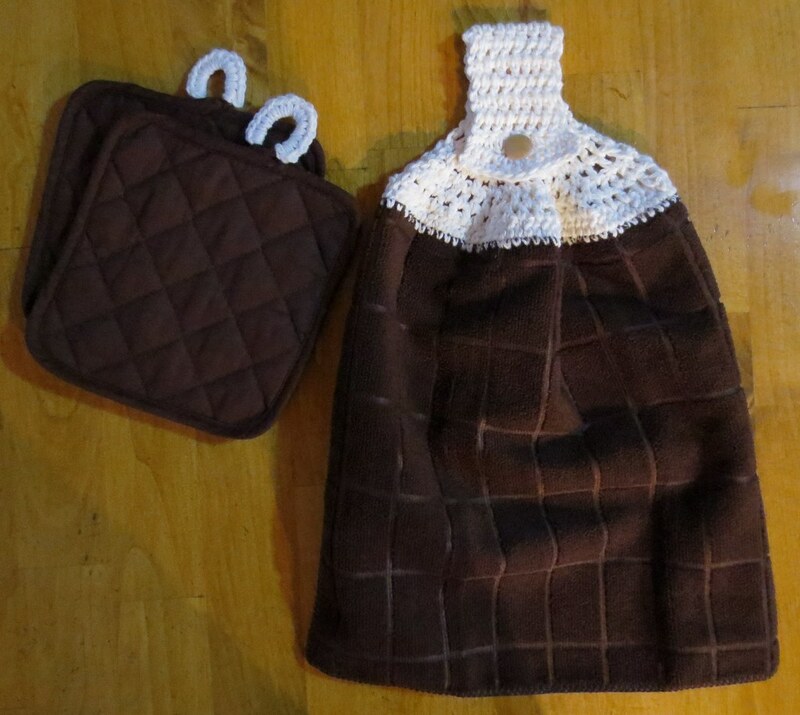 I used the free crochet pattern called double layered waffle towel topper pattern. The only change I made was for the extra large pink button I added for the closure. Because it was so large, I chained 3 stitches for the buttonhole. I then crocheted a few extra stitches into the buttonhole on the next row to secure the large opening for the button. It worked out great and the button fits through the hole nicely. 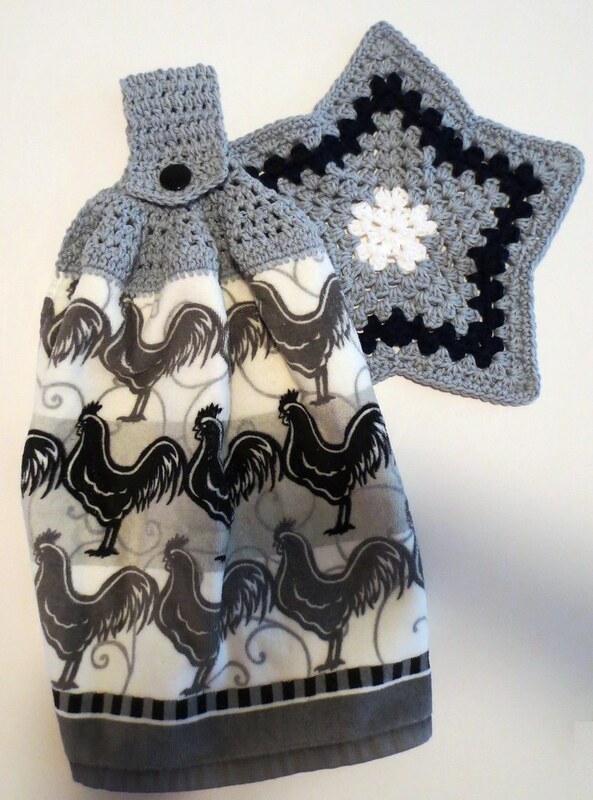 I have been working on Christmas gifts and just completed this Rooster double layered towel topper kitchen set. Need a quick and easy gift idea? 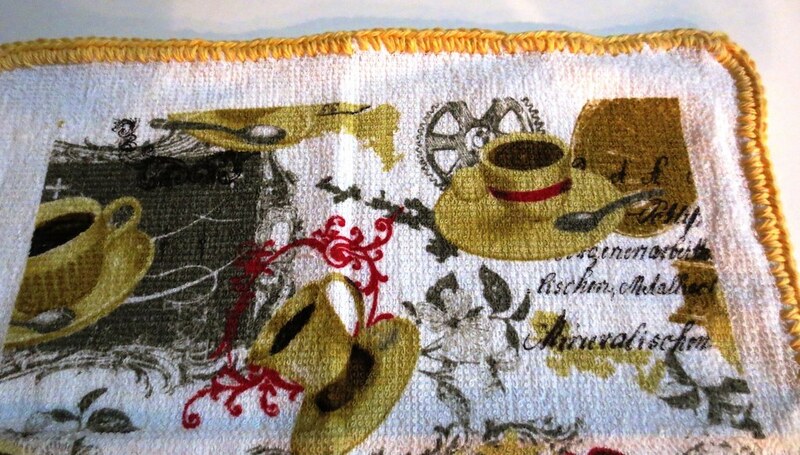 How about crocheting around the edges of a store-bought dishcloth. 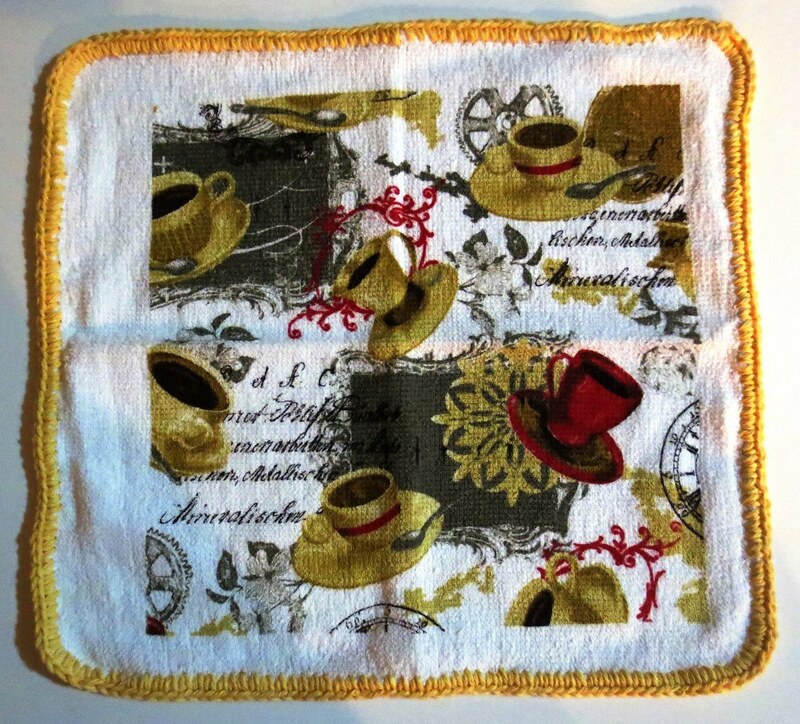 Here are a few inexpensive dishcloths I bought and by adding a quick handmade edging you have a pretty little gift. 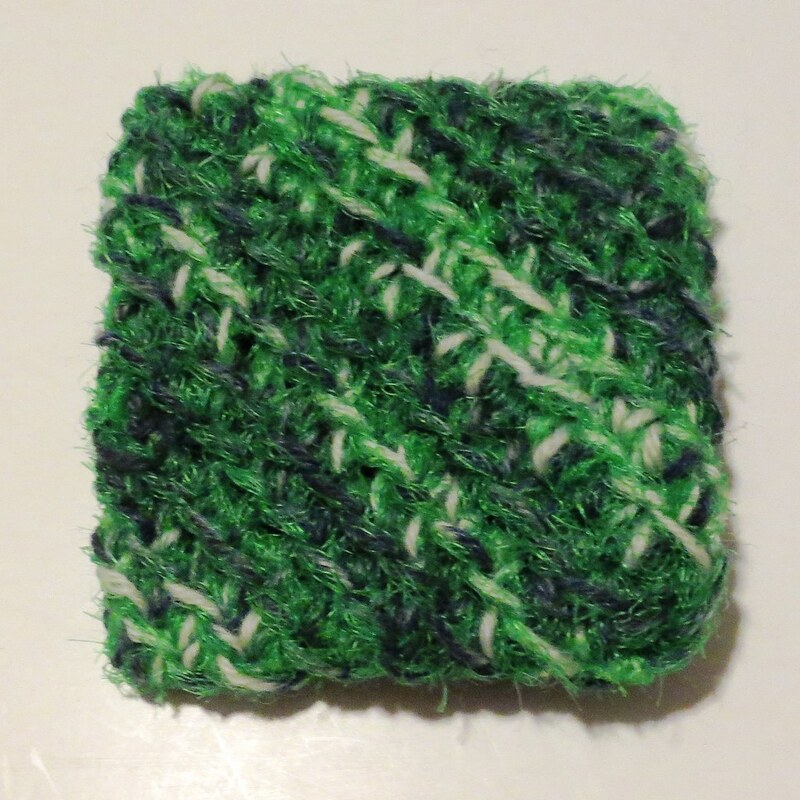 Here is a closeup showing the simple single crochet edging. 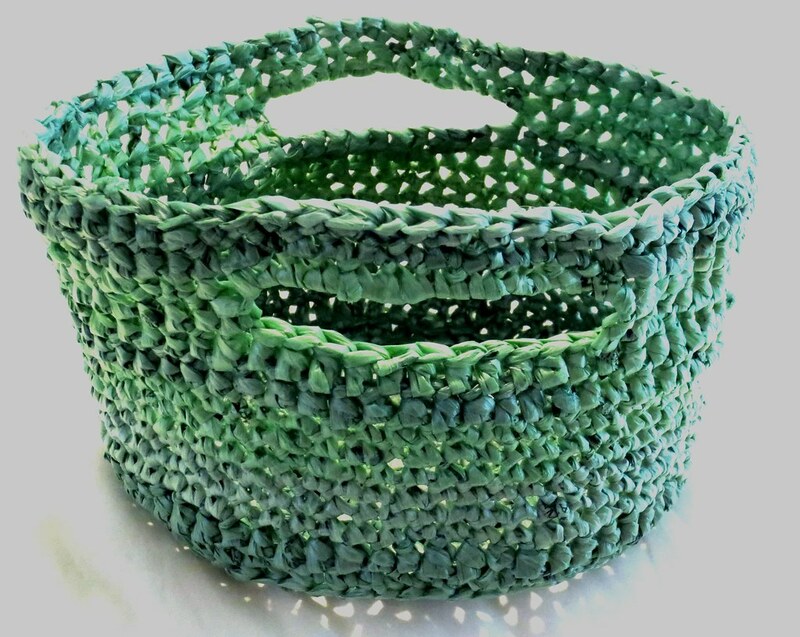 I crocheted this plastic basket from recycled plastic retail bags. 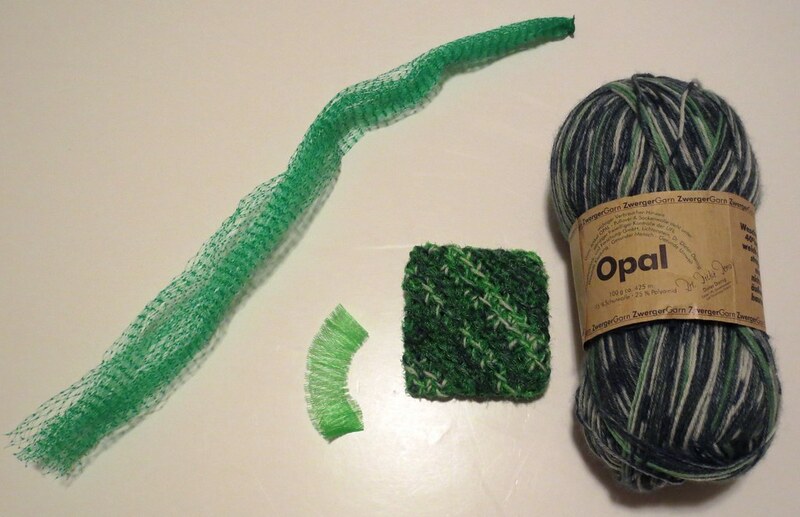 The bags are cut 1 inch wide and connected using the loop method to create plarn or plastic bag yarn. 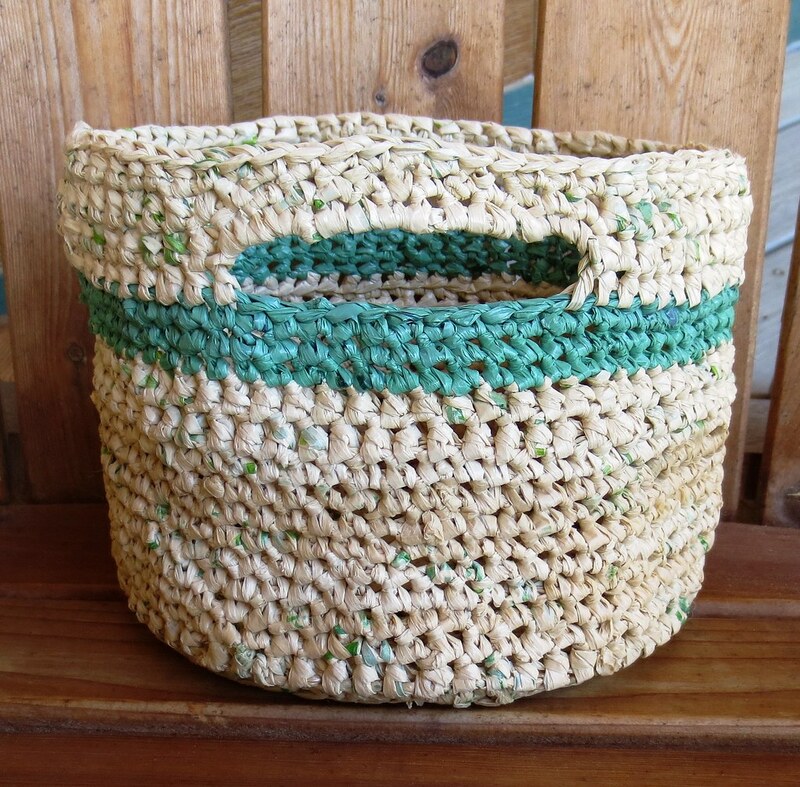 Here is the free plarn basket pattern I used to crochet the basket. The basket is filled with kitchen items for an upcoming Relay for Life fundraiser. 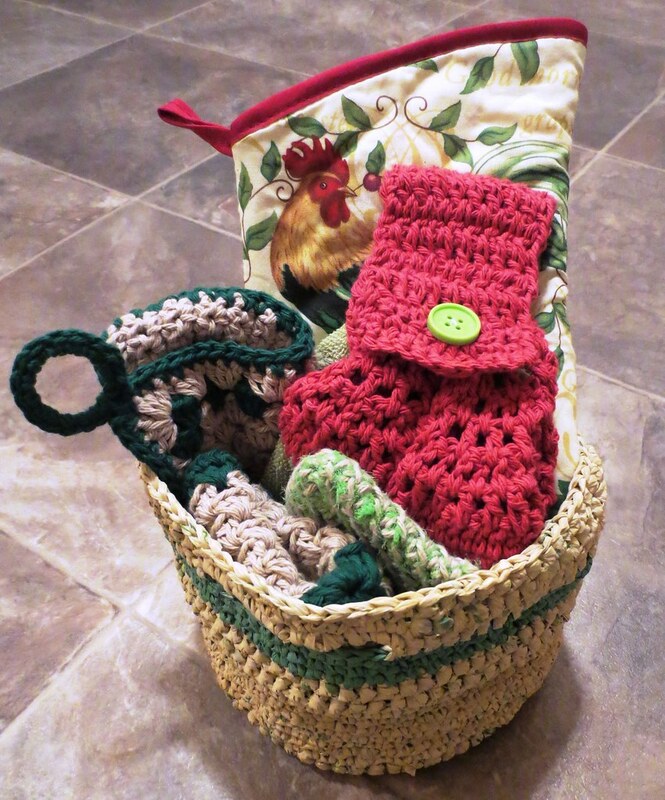 Included in the basket are potholders, an oven mitt, dishcloths and pot scrubber.